Purple Top Baby Cowries (ea.) 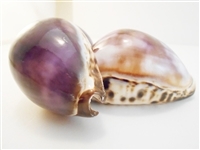 1/2"
Purple Top Snakehead Cowrie (ea.) 1"